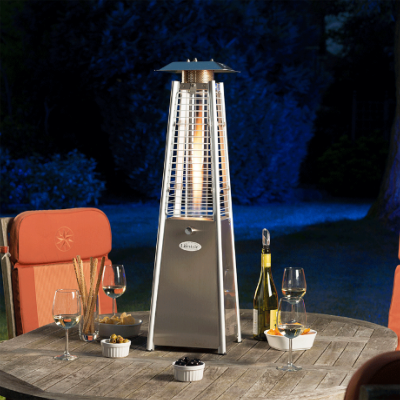 Add a great atmosphere to your garden with this real flame outdoor portable gas heater. 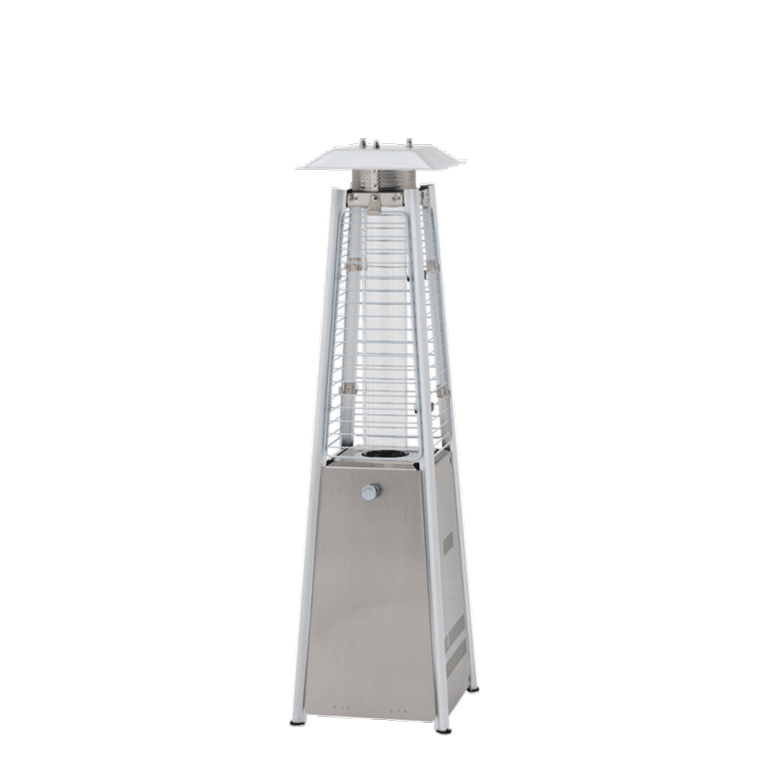 Stainless Steel Flame Table Top Heater, heat up to 3kw. 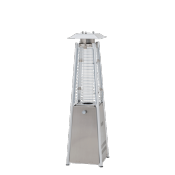 Aluminium reflector 22cm x 22cm, Quartz Glass Tube, powder coated protective grills. 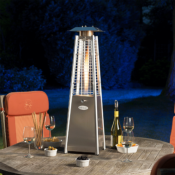 Hose & propane regulator included.